MiShel Designs: Focusing on Life: Week 6 - Feel The LOVE! Focusing on Life: Week 6 - Feel The LOVE! 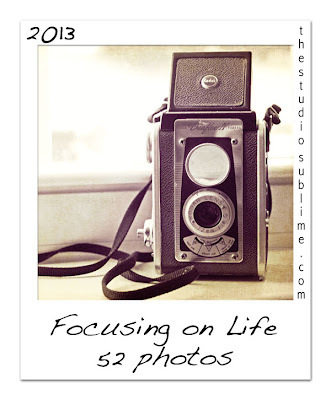 It's Week 6 of the Focusing on Life: 52 Photos Challenge offered up by Sally over at the Studio Sublime. Sally's instructions: "Since love is in the air in February, this week keep your heart open, breath in the air and feel the LOVE, then capture it in a photo. Feel the LOVE that the Universe is trying to show us everyday!" So, here's some of the LOVE the Universe showed me this week! Coco and Kiki - our Peach Faced LOVE Birds! Have YOU been able to FEEL The LOVE this week? Old, torn, stained and greatly loved, these are among my most prized possessions! Hope on over and grab some more LOVE from all the participants hanging out at the Studio Sublime today, okay?! Peace, LOVE and well,...Love in all forms! Always love seeing your photography on your blog, Shel. 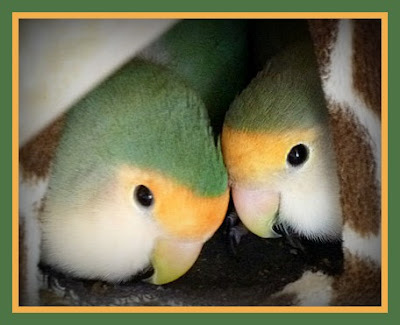 But I have to say that the two "love birds" are just adorable, snuggling inside the blanket. Both of your photos make me go 'awwwwwwwww'! Oh, such sweet images! Your lovebirds look so cozy and adorable. 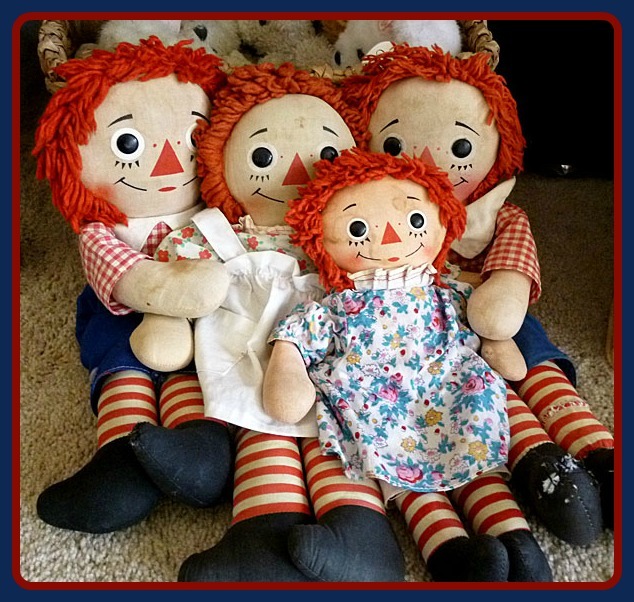 What a special collection of Raggedy Anns and Andy. HI SHel! Sorry I am late ( for this and the Winter hop) Those Love birds are too precious! Do they chirp/talk/sing? How sweet are your birds! Beautiful choices to show the love! Love the picture of your birds. And who can resist the love of well loved Raggedy Ann dolls. Thanks everyone for all your compliments on the birdies and the Ragedy dolls! I'm quite late to posting this week's link over on Sally's blog - I was at the Gem Show from last Wednesday until Sunday night and I'm still trying to unpack and re-organize things!! Shel, The birds are adorable! They look so cozy nestled against each other! I can love the love!